I know I haven’t been on here in a while and I apologize to all of ya’ll that actually follow my crazy crap. I’ve had a rough little while, had a bad hit while I was already in a downswing, so I’m feeling worse that I have in a very long time. I am crafting until my fingers bleed just to get my mind off of things. 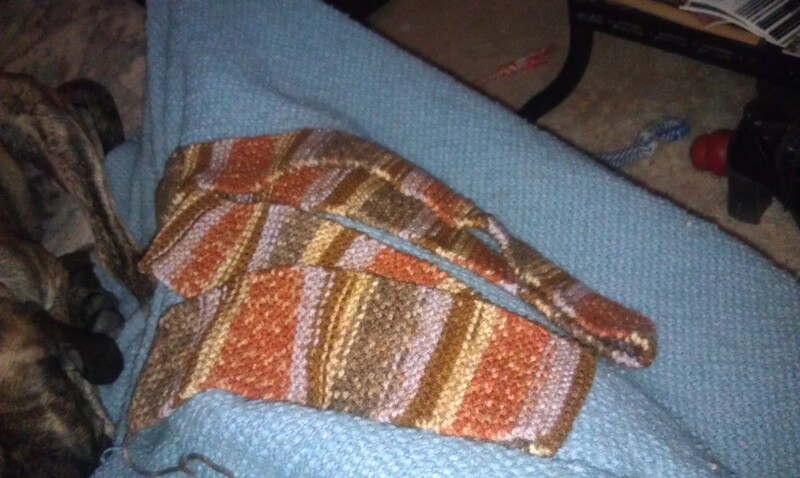 I finished a scarf, and started two more. 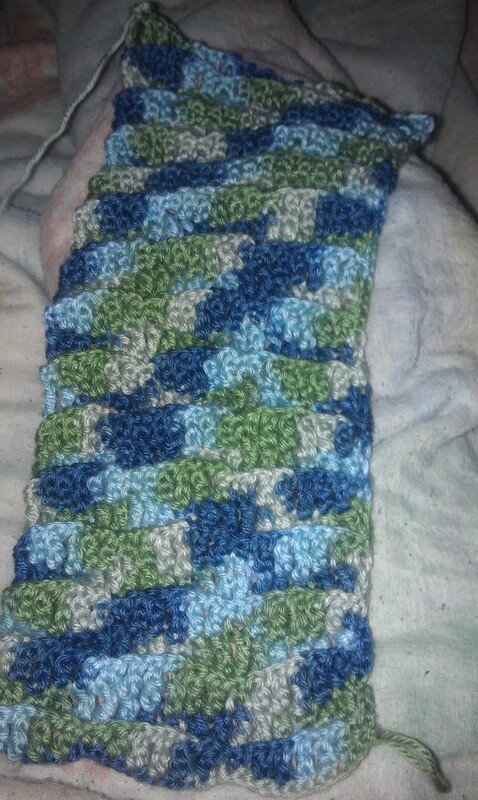 Scarves are easy, I don’t have to think about them while I’m making them. I had been working on this one since New Years. It’s the first thing I ever knit, and I just went and went until I ran out of yarn. It turned out pretty good. Mom got me some fancy hard-to-work-with yarn. 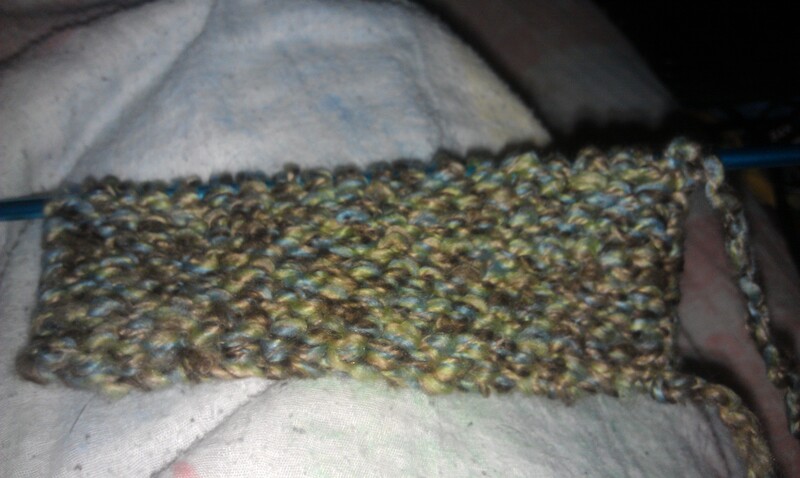 So I decided to knit a scarf. I have pulled this darn thing out twice to get the right size, but I think I’m finally happy with it. 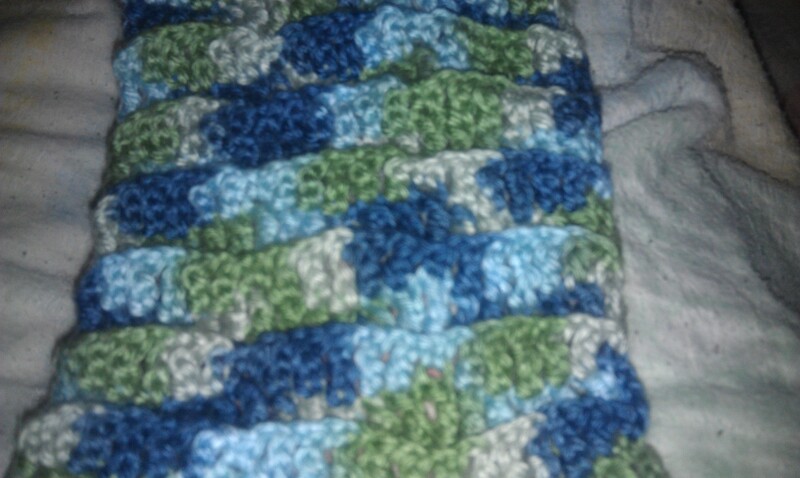 I hope I have enough yarn to finish this one. The pattern is one of my own design, and I rather like it. I’ve got four 4 balls of this yarn, and I hope it’s enough to finish this thing! Thanks to everyone who watches my posts and comments. It always makes me feel better to get an encouraging thought when I’m feeling horrible.